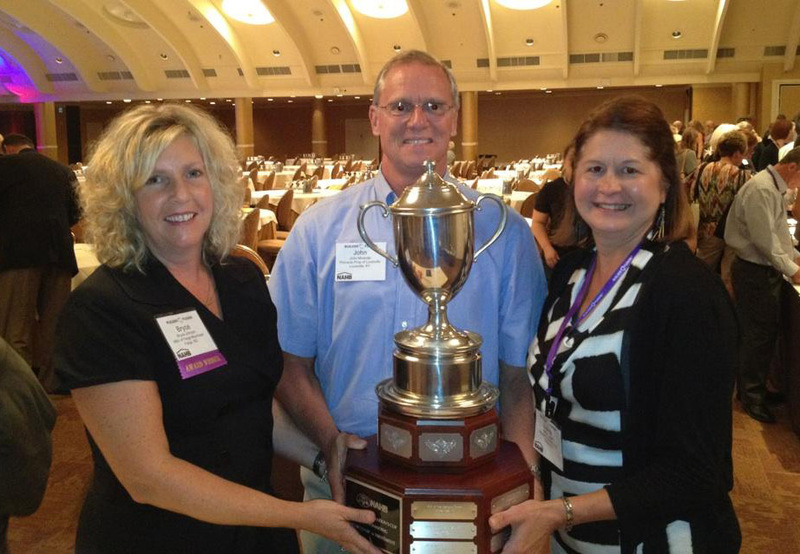 Fargo, N.D. – The National Association of Home Builders has recognized the Home Builders Association of Fargo- Moorhead with one of its top national honors, the 2011 NAHB Cup for Outstanding Membership Achievement. The award annually recognizes the home builders association that achieves the highest combined ranking in membership growth and retention in the country. Finalists were identified from seven different membership size categories, and invited to submit their membership plan for consideration to be named the overall winner. The HBA of F-M also received this prestigious award in 2005 and 2010. HBA of F-M earned a finalist berth with a combined score of 77.48 percent, which reflects both membership renewals and recruitment of new members. It was singled out for the top honor after judges evaluated its strategically executed and thoroughly documented membership plan that reflected a comprehensive, member service-focused approach. 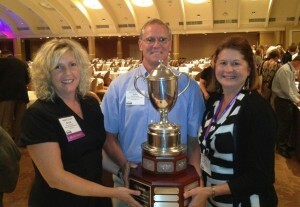 HBA of F-M’s name will be engraved on the cup, which will be displayed at upcoming NAHB board of directors meetings. The Association received a plaque to display in its office. NAHB is a Washington, D.C.-based trade association. Founded in 1942, it is a federation of more than 140,000 members and their employees. It strives to improve housing affordability, availability and choice and exists to represent the home building industry by serving its members and affiliated state and local builders associations.